There’s nothing quite so mysterious as a deep, dark tunnel leading into the unknown. 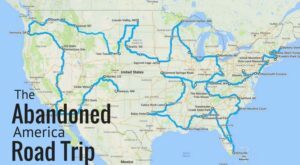 America is riddled with abandoned tunnels that continue to fascinate with their incredible histories and beautiful construction. 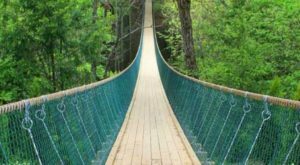 Check out these amazing examples from around the country. 1. 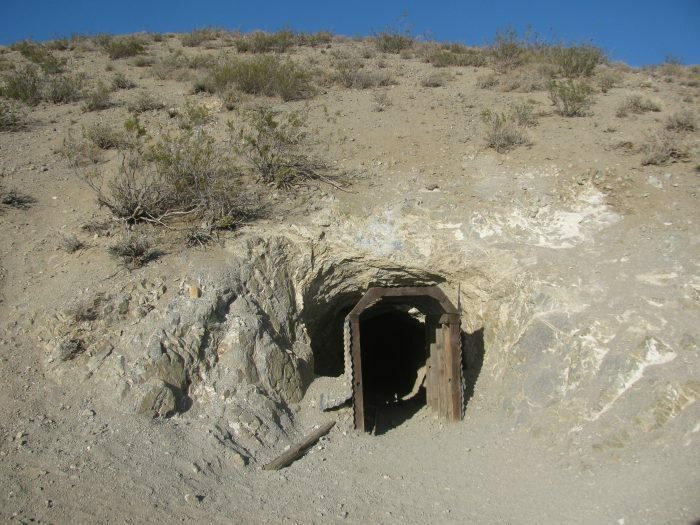 This half-mile tunnel is carved deep into the El Paso Mountains in the Mojave Desert. 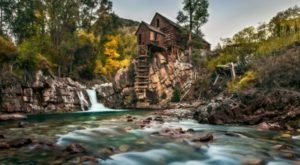 It was excavated entirely by hand by William "Burro" H. Schmidt in 1900 while he was mining for gold. Schmidt needed a passage through the mountains to transport his ore. Visitors are free to explore this tunnel. 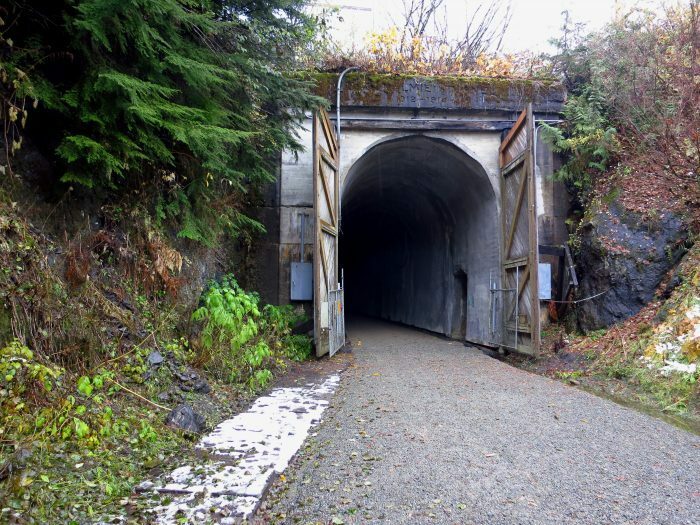 Snoqualmie Tunnel is part of the John Wayne Pioneer Trail in Iron Horse State Park. 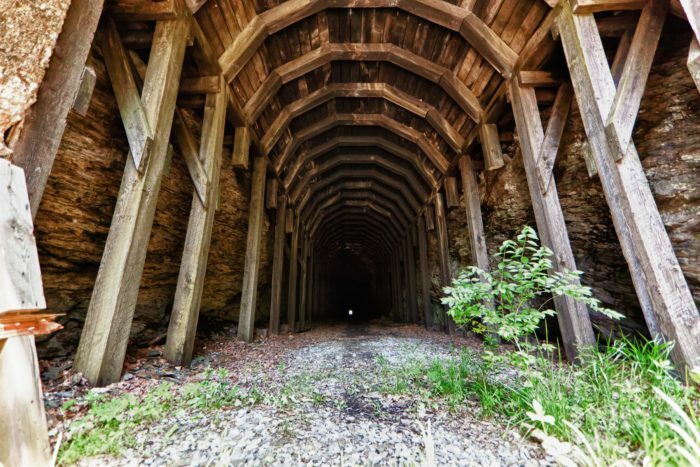 This abandoned railroad tunnel was first constructed in 1912, and now serves as pitch-black, 2.3-mile hiking and biking path beneath Snoqualmie Pass. 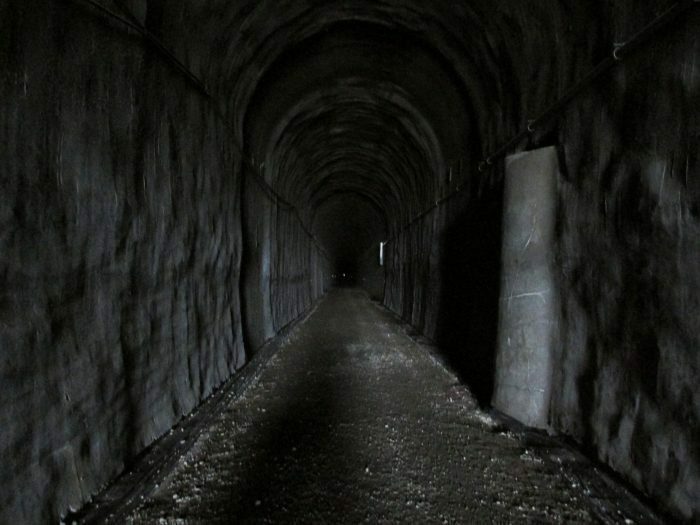 There aren't any light sources within the tunnel, so visitors should bring their own flashlights and reflective gear. 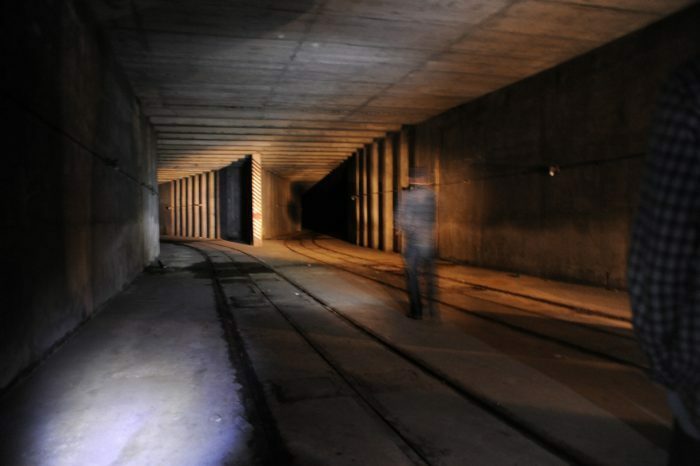 This abandoned underground trolley station is made up of nearly a mile of deserted passages. 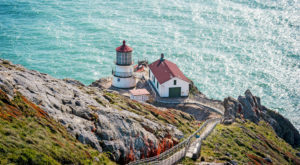 Originally opened in 1949 and closed in 1963 as driving supplanted trolley transportation, some parts of the tunnels were converted to fallout shelters in the 1970s. 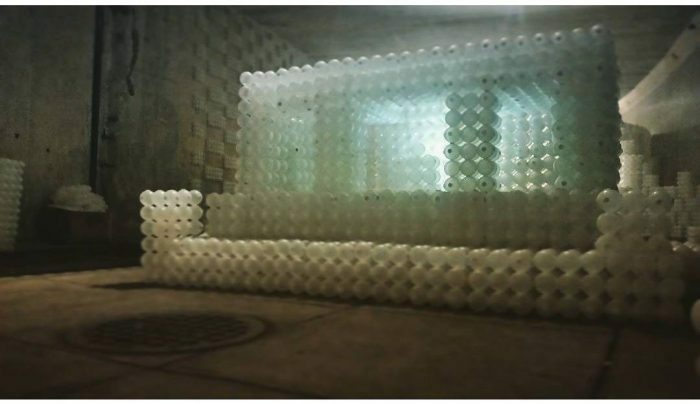 Today, art installations have begun popping up in the Dupont Underground. 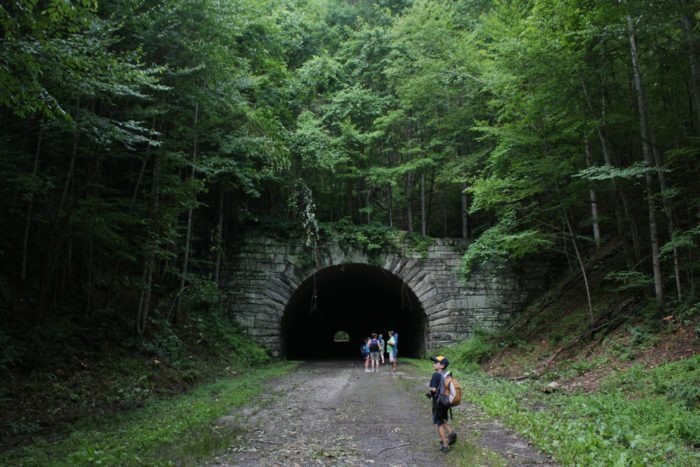 An abandoned railroad tunnel runs beneath the historic Green Ridge State Forest state park in western Maryland. 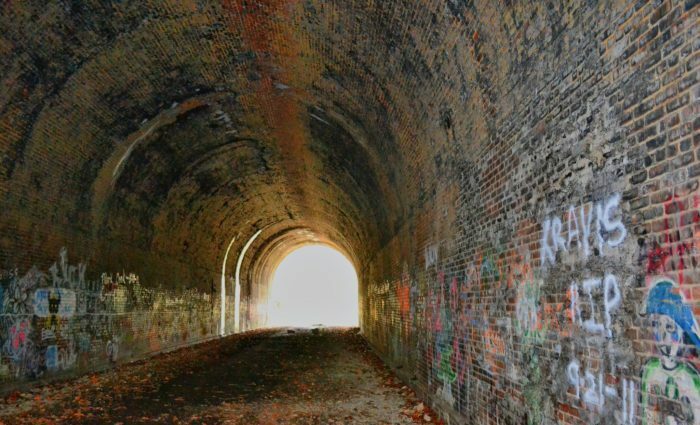 Built in the early 1900s, the tunnel's tracks were removed in 1975 and the area has been a favorite haunt of explorers (and some say ghosts) ever since. This is the only spot in the nation where an unguided, state park trail (Bluff Trail) runs through a cave. The cave tunnel isn't very long, but the space is small and visitors must make their way through almost perfect darkness in order to pass through to the other side. The tunnel is located in Florida Caverns State Park. 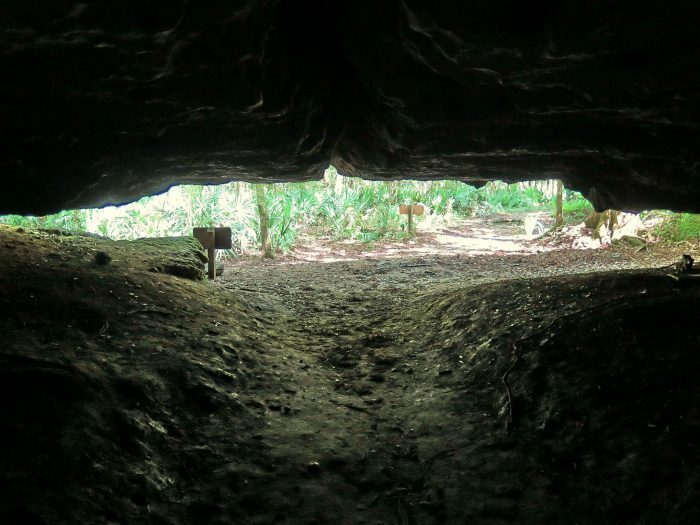 Guided tours of the park's other caves are available. 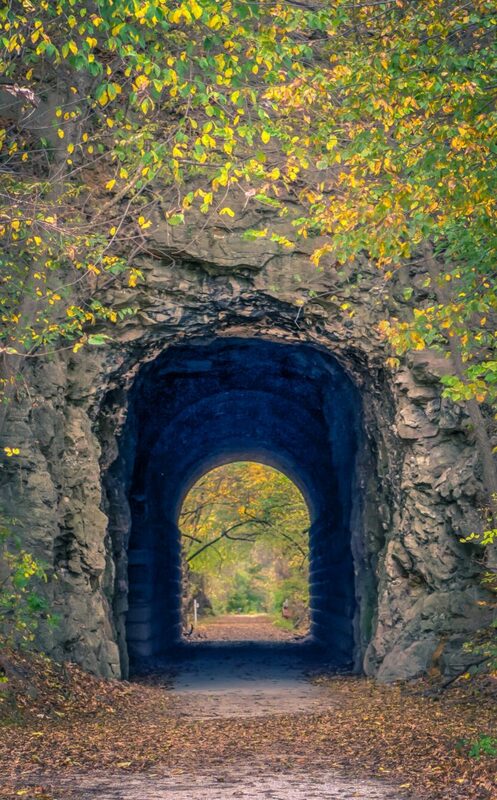 These awesome tunnels are located in the Columbia River Gorge on the Historic Columbia River Highway Trail. 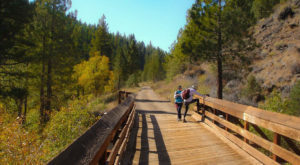 Built in 1922, the tunnels were restored as a hiking and biking trail in 2000. 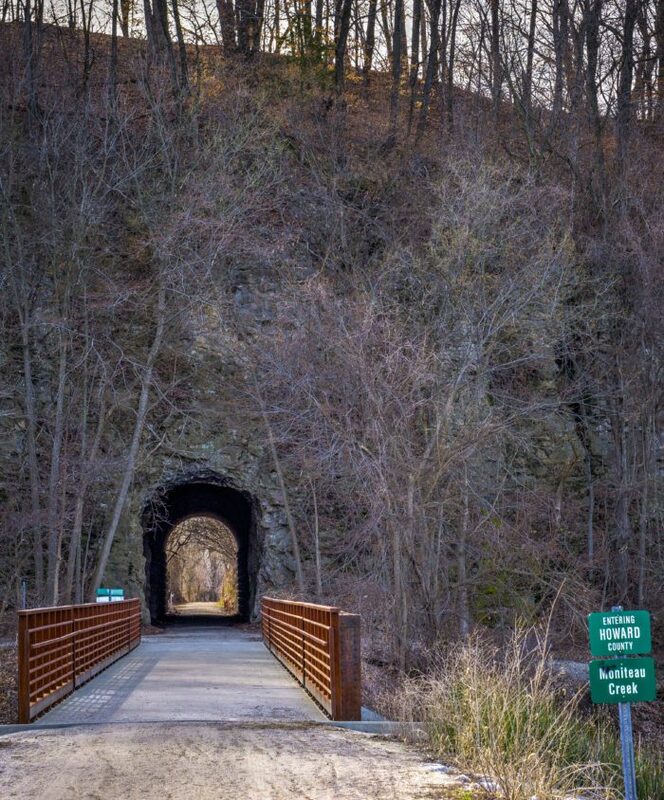 The raw stone walls of the tunnels are gorgeous, and the trail's multiple scenic overlooks and picnic spots are incredible. 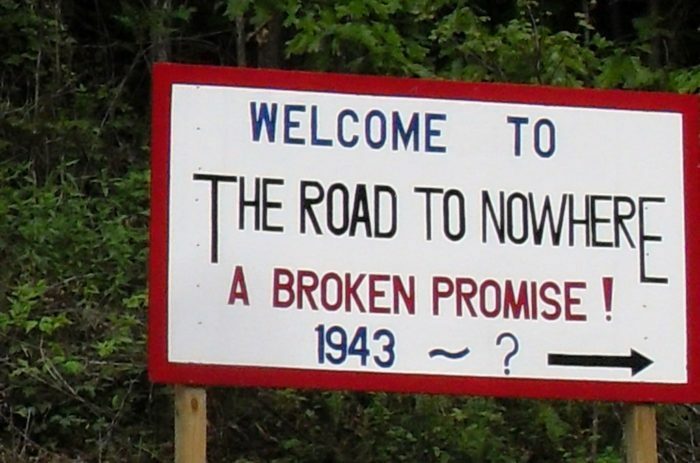 With an enigmatic name to match its unique history, the The Road To Nowhere tunnel was built in the 1940s after the creation of Fontana Lake and the Great Smoky Mountains National Park. 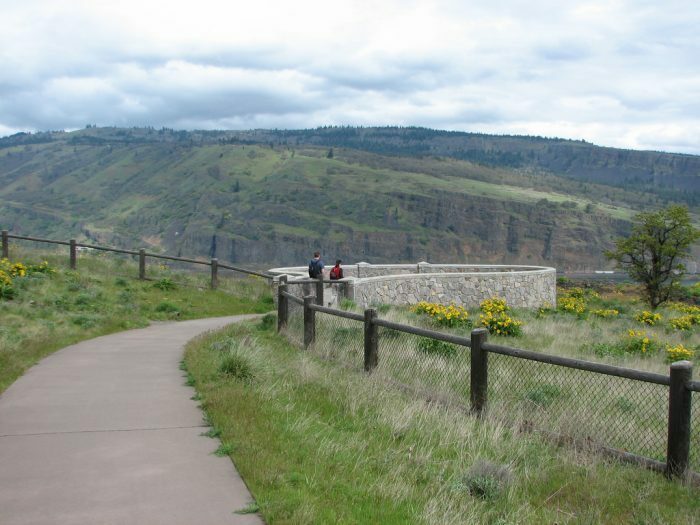 The tunnel was meant to grant the families displaced by the park's creation access to ancestral cemeteries, but the road was never completed. Today, The Road To Nowhere tunnel literally leads...nowhere. 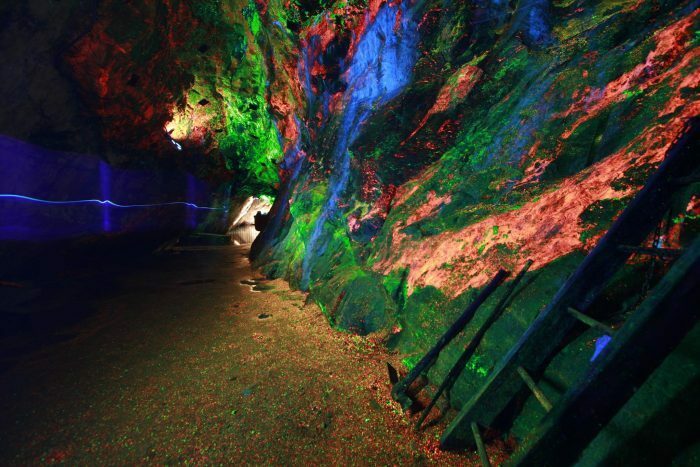 The fluorescent colors in this breathtaking abandoned mining tunnel are actually a completely natural phenomenon. 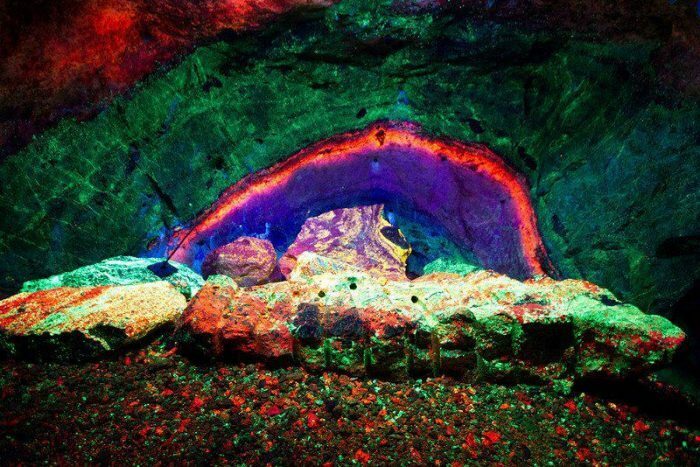 Located in the Sterling Hill Mining Museum, the Rainbow Tunnel's astounding coloration is the result of exposed zinc ore, which glows when illuminated under ultraviolet light. 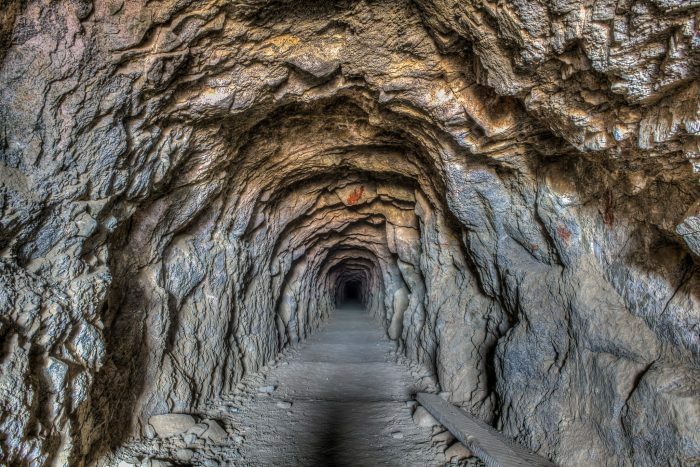 The mine offers tours of the tunnel, which are well-lighted, wheelchair accessible and require no climbing. 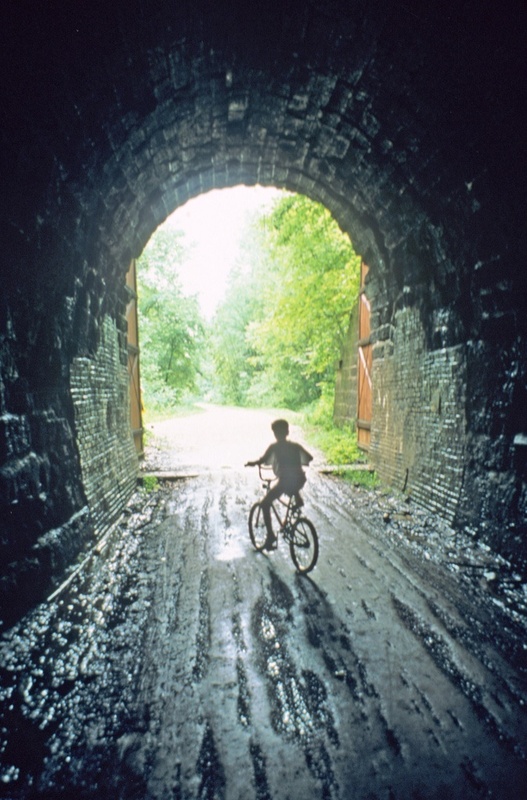 This 920-foot railroad tunnel was constructed in the 19th century. 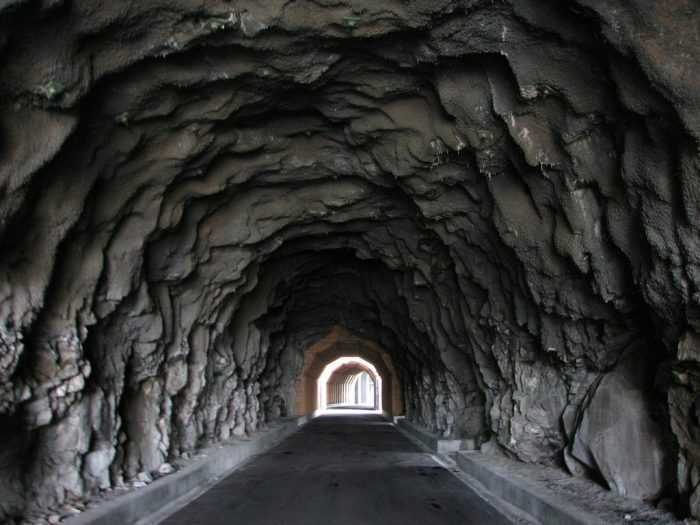 Trains stopped running through the tunnel in 1942, and today it is home to 3 million Mexican free-tailed bats and 3000 Cave myotis bats. 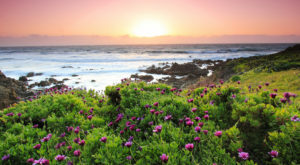 The bats emerge at sunset, and the public is invited to view their spectacular flight from the tunnel. 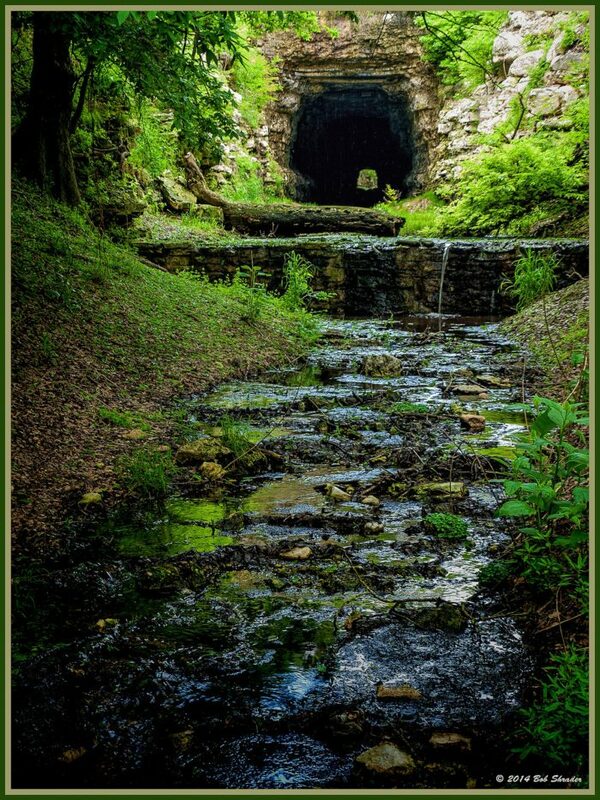 Located along the Elroy-Sparta State Trail, this tunnel once gave passage to fifty trains a day. Now, over 60,000 cyclists pass through each year. The entrance to the tunnel is flanked by two beautiful 20-foot doors, originally meant to keep snow from impeding train travel. 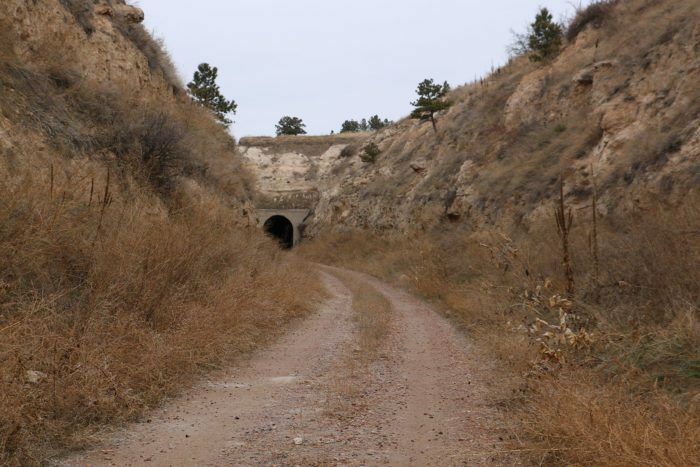 More than 4,000 bodies from nearby cemeteries were moved to make room for this quarter-mile tunnel. 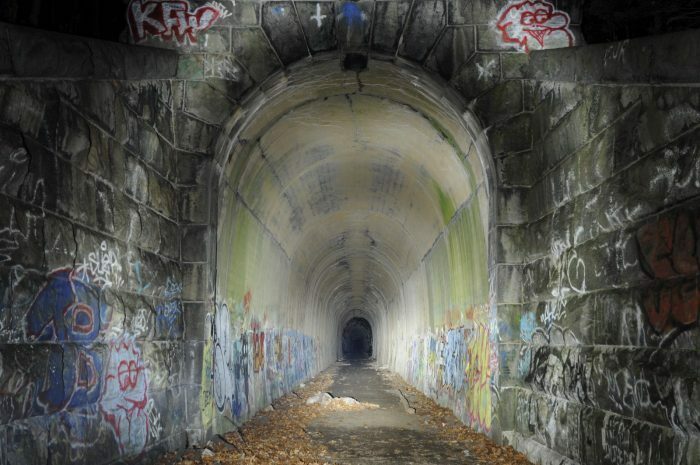 Originally constructed in the 19th century to service the Wachusett Dam, the tunnel was abandoned by the state in the early 1900s. Today, brave adventurers can explore its cavernous and dark interior. 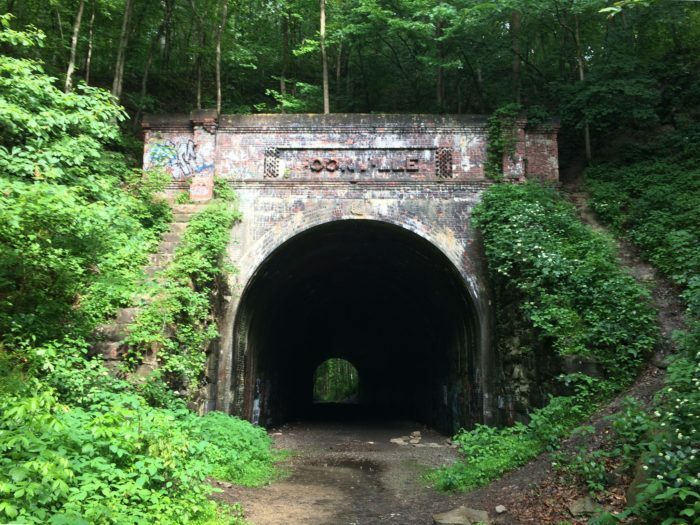 This railroad tunnel is remnant of the abandoned coal mining town of Moonville, founded in 1856 and deserted in 1947. 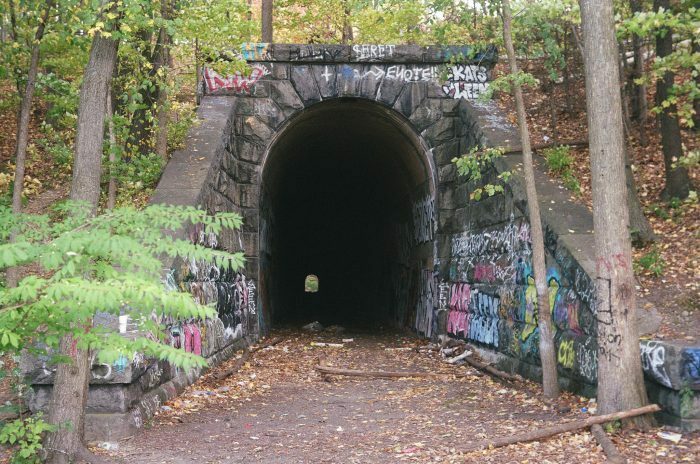 The tunnel has been the site of at least 6 train fatalities, and many report that the area is haunted. 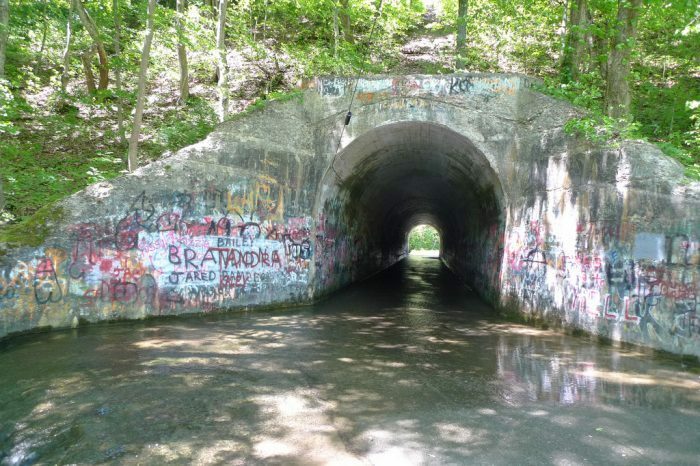 This eerie tunnel has been the rumored site of multiple deaths, and is a popular destinations for seekers of the paranormal. Most stories center around Ed Sensabaugh, the original owner of the tunnel in the 1920s. Some say his ghost, and perhaps that of his murdered young son, roam the dark of the tunnel. 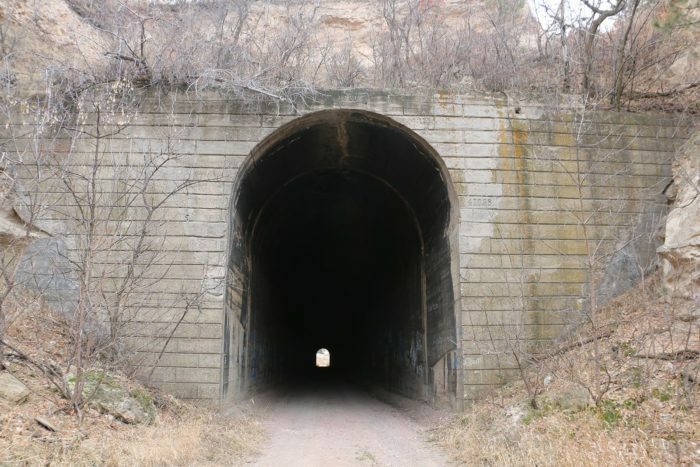 Located just outside of the near-ghost town of Belmont, this is actually the only tunnel in the entire state of Nebraska. 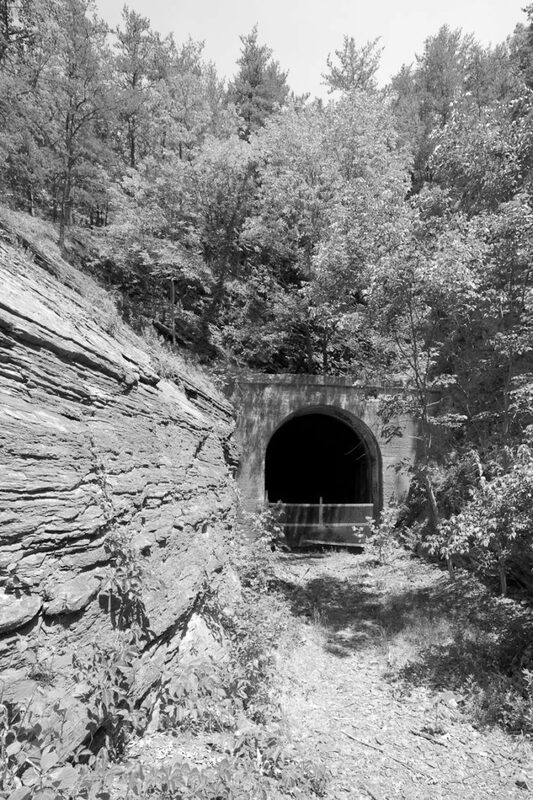 Once an important railroad route, the Belmont Tunnel has been abandoned since the 1980s. Despite being over 120 years old, it is in remarkably fine condition. 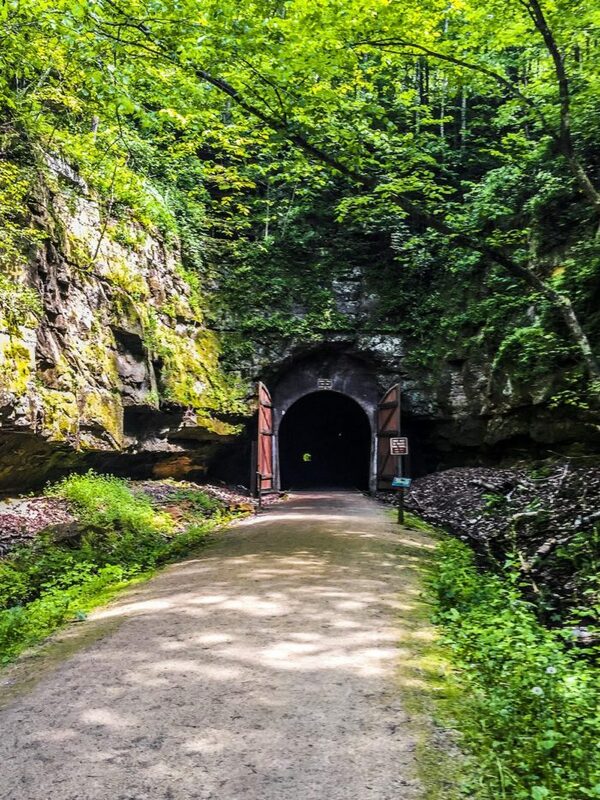 Now part of the Katy biking trail, the Rocheport tunnel has been a source of some controversy. 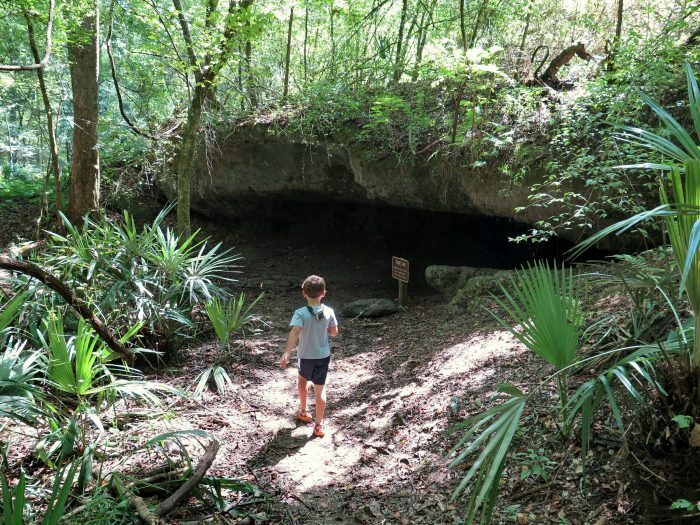 The limestone bluff into which the tunnel was carved was once covered in cave drawings and ancient pictographs. These were destroyed by dynamite during the tunnel's construction. 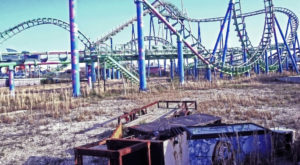 The site was featured in Stephen King's film, "Sometimes They Come Back". 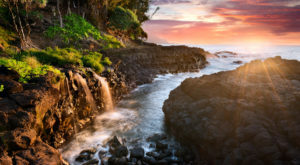 It’s amazing how quickly these incredible spots were forgotten. 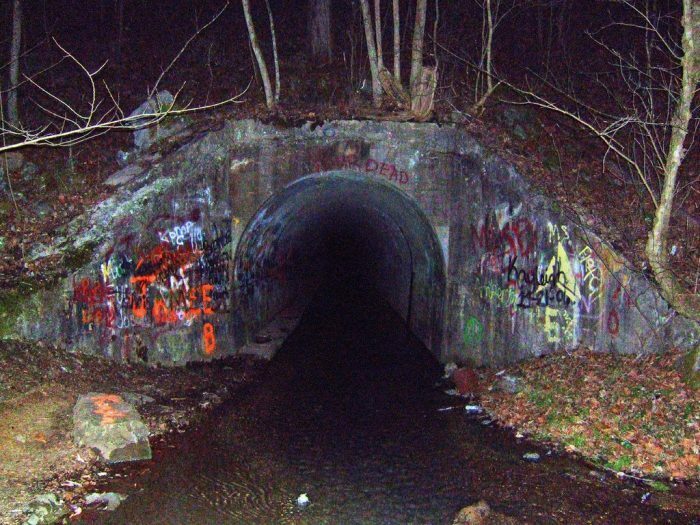 Are there any abandoned tunnels near you?